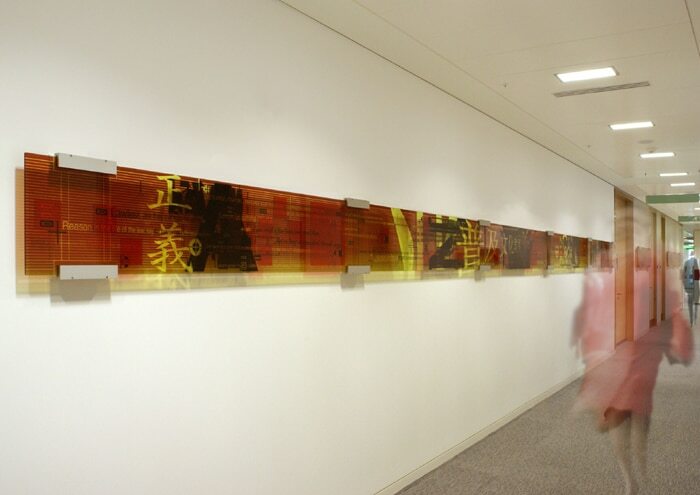 Undoubtedly artwork plays a key role when it comes to create suitable spaces for both private and corporate clients. However the process of art selection based on space requirements and clients’ taste becomes a challenge if the interior design professional remains unaware of the benefits and repercussions the artwork can provide to their scheme and ultimately to their clients. Latest research in workplace art conducted by International Art Consultants* and The British Council for Offices reveals that art is more relevant than ever in today’s office environment; nevertheless 90% of the companies that took part in the research survey display art on their premises and 86% of them think that art is more relevant than ever in today’s office environment. Key research findings show that artwork makes significant impact on the design scheme of the office space and 93% of survey participants agreed that art makes the workplace more welcoming for staff and visitors alike. Art entices people into the office making it a workplace of choice and it also helps with staff retention in the era of home-working and ‘hot desk’. The report also deals specifically with the changing nature of workspace design and utilisation such as the “Third Space” which is set to double by 2020. Break-out areas act as a recurring meeting point for employees from different departments with diverse backgrounds where conversations begin and relationships are built. The space set-up should live up to this vibe and the presence of artwork seems vital especially if the employees are asked to select the pieces which surround them. Working environments have become large-open plan multipurpose spaces where conventional hanging space is limited. Creative solutions to challenge the office layout include consideration of new kinds of art (integrated; functional or kinetic and digital); investment in pieces that can easily be moved (freestanding or modular artworks) as well as opting for art rental solutions in order to maximise flexibility and budget. The multiple benefits of workplace art are noticeable in a number of levels related to brand values and staff wellbeing. Artwork provides a complementary and sophisticated way to cut through the communication overload and get the corporate message across. The key is to do it in an authentic manner so that the images and messages contained in any artwork really do help communicate the company’s ethos. The incorporation of art in the contemporary office not only inspires creativity and improves individual and collective wellbeing but new research suggests it can significantly increase productivity especially when employees are asked to be involved in the art selection process. * International Art Consultants has over 30 years experience of providing art consultancy services for corporate and private clients. They develop and manage art programmes throughout the UK, Europe and Middle East.